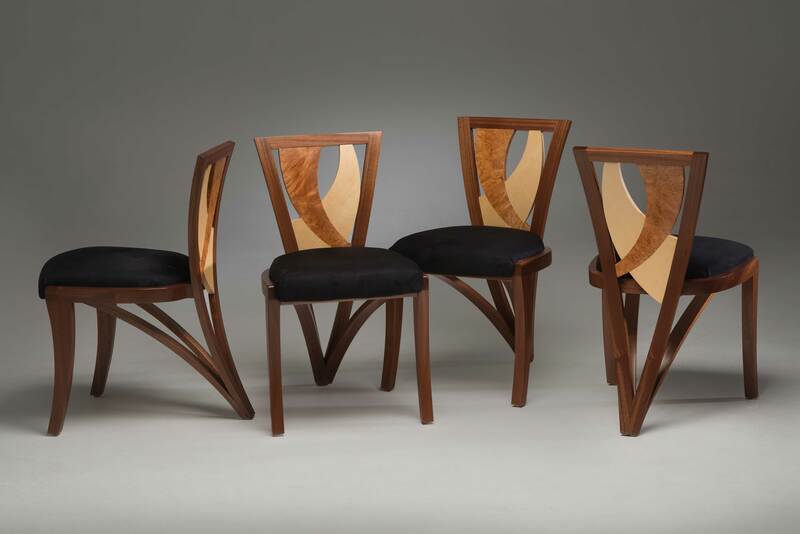 A Pennsylvania German "kas" won the design portfolio award for residential furniture. the armoire-type unit was designed and built by Kinloch Woodworking Ltd. of Unionville, PA. Similar to armoires,"kasten" are common in Pennsylvania Dutch country, said Douglas Mooberry, president of Kinloch Woodworking Ltd. of Unionville, PA. Brought to the area by Dutch German immigrants, the "kas" is a large 7-foot by 7-foot cupboard with double doors and sometimes drawers. Inside are shelves or hooks for storing clothes and linens. Because of their scale, kasten are often requested as large entertainment centers, Mooberry said. "A kas is one of the few pieces of furniture whose scale enables it to hold a 27-inch television," he added. Occasionally, however, Kinloch is asked to built a traditional kas. One such unit, built of cherry and holly, won the top Design Portfolio Award in the residential category. "To see it in the sunlight is just amazing," Mooberry said. Per customer specifications, only the highest quality wood was used on the piece. 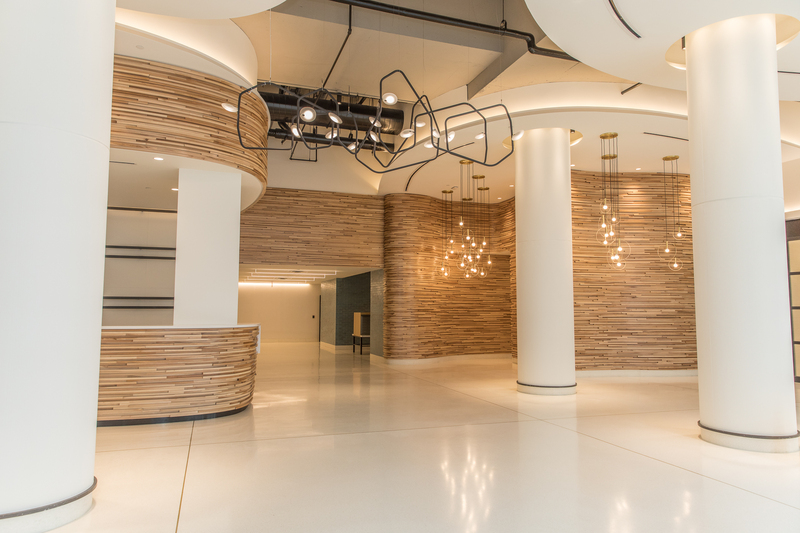 The client was familiar with woodworking and involved in every aspect of the project, Mooberry added. "Our goal was that every part of the kas would make the customer smile." All of the solid cherry curl wood was cut from the same log and is of musical instrument grade. "J. Gibson McIlvane of Whitemarsh, MD, provided us with the spectacular cherry," Mooberry said. Even the 20-inch-wide panels and the 8-inch-wide turned bunn feet were made from stock that was not glued up. Milling for the kas began on the shop's 20-inch SCMI planer and 16-inch Northfield jointer, and the wood was sanded on a Timesavers 37-inch sander. The 6,000-square-foot shop also houses an SCMI sliding table saw, an SCMI shaper, a Bacci slot mortiser and numerous hand tools. The six inset panels are bookmatched crotch cherry. Although beautiful, the highly figured wood was difficult to work with, Mooberry said. "The Timesavers sander was a real help with the wild wood," he added. The crotch was resawn on a Makita resaw bandsaw to 1ÃƒÂƒÃ‚Âš8-inch thickness for the panels and drawer fronts. The crown moulding features highly figured cherry as well. "Steve Latta, our shop's lead cabinetmaker and inlay wizard, cut the moulding from one board, so the grain runs pretty straight along the moulding as if the wood were just bent in place, which was pretty tricky to achieve," he said. The dentil mouldings had to be worked out after the piece was built to get the teeth pattern to work at each corner, he added. The joinery between the side and front style is a miter. One board was cut for both pieces so the grain follows along the mitered joints. The holly for the inlay was so highly figured it took two weeks to complete, Mooberry said. Fashioned in traditional Pennsylvania German style, the inlay commemorates the date of the clients' wedding and their initials. In keeping with tradition, the interior has adjustable shelves on wooden ratchet-type adjustments. The piece features antique locks from Monroe Coldren & Sons and brass hardware from Suffolk Brass. Because of its size, the kas comes apart so it can be moved easily. "I wouldn't want to meet two people who could lift it whole," Mooberry joked. The crown moulding, doors, sides and back can be removed. The cabinet is held together with wooden wedges. Simple kasten start at about $15,000 and take 8 to 10 weeks to complete, Mooberry said. 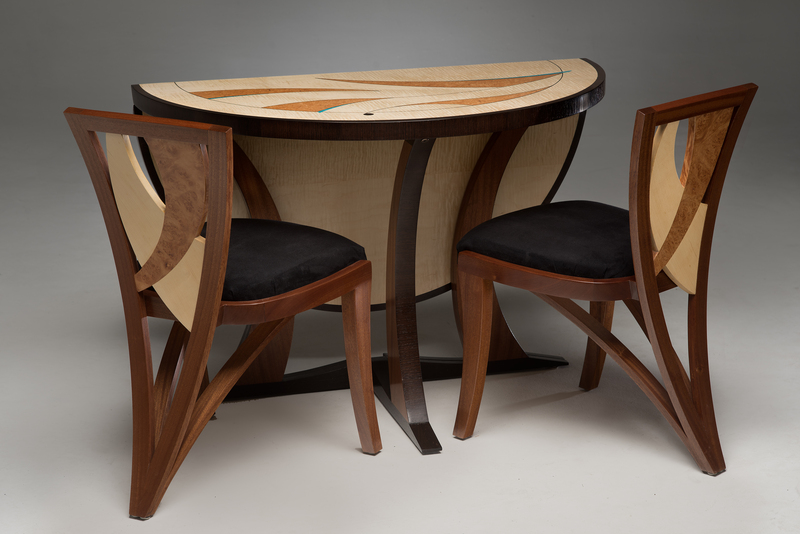 The award-winning project cost considerably more due to the quality of wood, the many details and the inlay, he added.